Your ticket to savings! 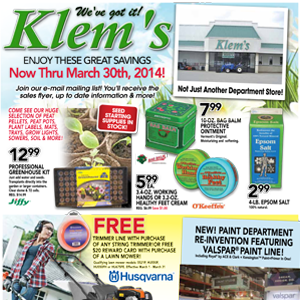 Joining is Easy - Ask any Cashier when you shop at Klems. As a Member you will receive Special Offers and Discounts. Find out more. Hundreds of Items for Homeowners and Professional Contractors. 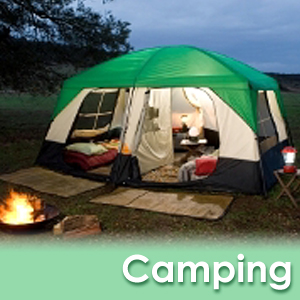 Party Goods, Bounce Houses, Lawn & Garden Tools and More! View our entire Rental Fleet here. 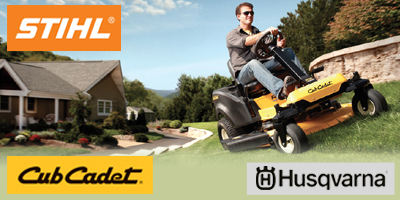 STIHL®, Cub Cadet®, Husqvarna®, Left-over and Used Equipment. View our pick-up and delivery rates.